We’re not even sure what to say about this movie except that it looks like it’s going to be hilarious! Comedy, drama, irresponsible behavior, giant monsters…bring it on! Gloria (Anne Hathaway) drinks too hard and parties too much. Her boyfriend has enough of it and throws her out. Gloria returns to her hometown, dreaming of making a new start, but instead revives her childhood friendship with Oscar (Jason Sudeikis), who runs a bar. After drinking a night away with Oscar and his friends, he wakes up to discover a gigantic monster rampaging through Seoul and realizes that somehow the monster is connected to her. 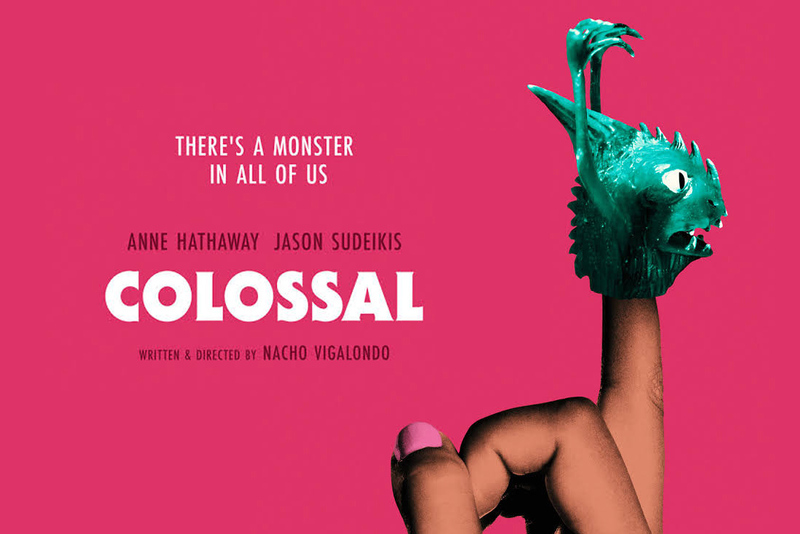 Directed by Nacho Vigalondo (Timecrimes), Colossal also stars Dan Stevens and Tim Blake Nelson. The movie opens April 7, 2017.